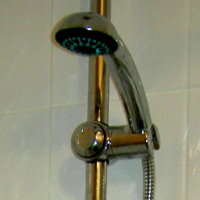 Here is an example of a domestic bathroom. 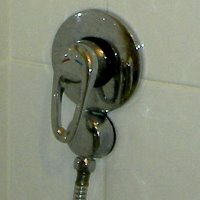 The bath and shower cubicle were added as well as a washbasin, toilet, radiator and fitted cupboards. 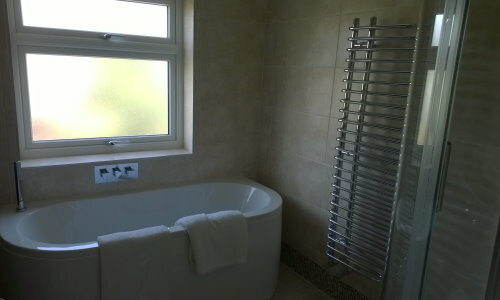 This was a complete refurbishment and the room was stripped back to the walls. 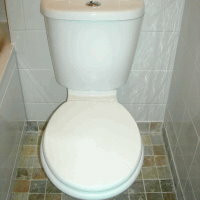 The room was retiled and then the WC furniture was added. At this job the ceilings and door frames were painted. 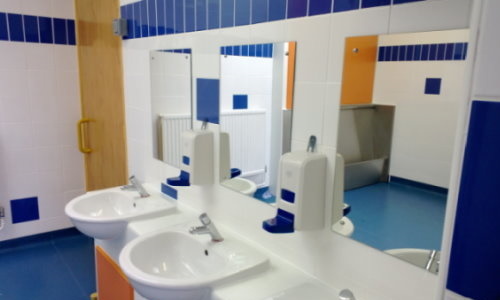 Here you can see an example of a commercial washroom including urinals, toilet cubicles, hand washbasins, soap dispensers, hand dryers and mirrors. At this job the ceilings and door frames were painted and a new floor laid. Usually, the floors are tiled but in this case the client went for a durable waterproof floor.